Gen. II. 4, V. I, Vi. 9, x. I, xi. 10, xi. 27, xxv. 12, xxv. 19, xxxvi. I, xxxvii. 2. 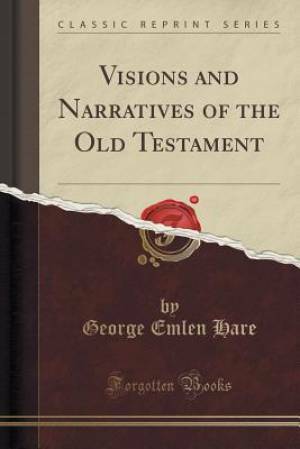 Visions and Narratives of the Old Testament (Classic Reprint) by George Emlen Hare was published by Forgotten Books in July 2015 and is our 65040th best seller. The ISBN for Visions and Narratives of the Old Testament (Classic Reprint) is 9781331288817. Be the first to review Visions and Narratives of the Old Testament (Classic Reprint)! Got a question? No problem! Just click here to ask us about Visions and Narratives of the Old Testament (Classic Reprint).